Summer homes are created for a very specific purpose – to create a place for relaxation. 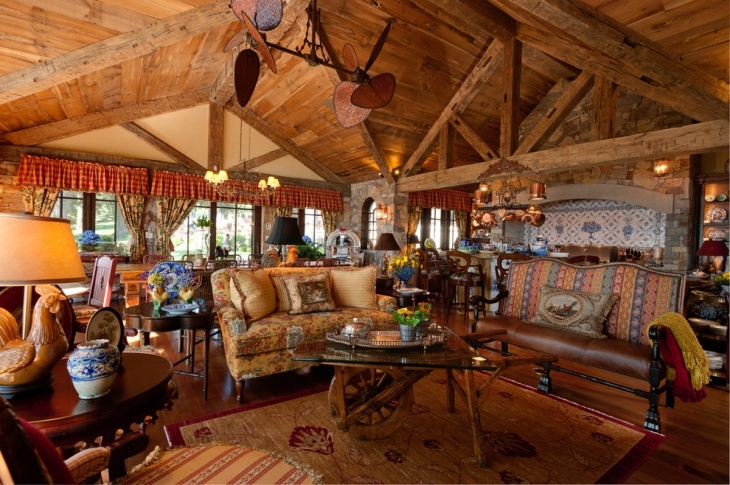 A summer home cannot be a very relaxing place if it does not have a nice and comfortable living room, where the family can just sit and gather around. 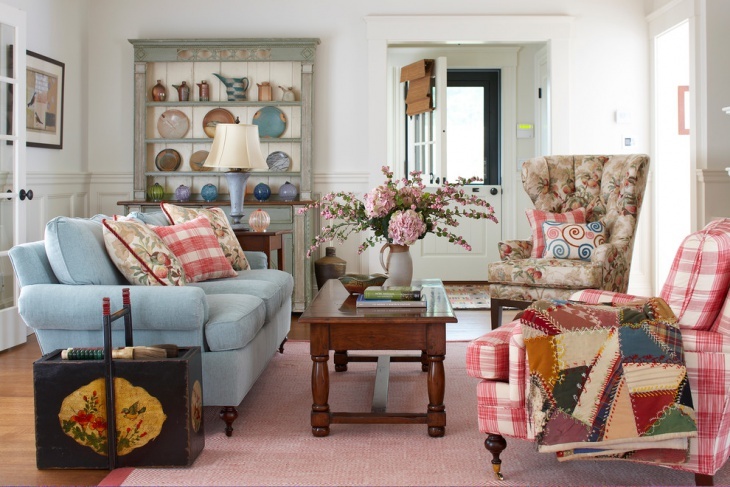 The following summer home living rooms may give you some useful ideas. 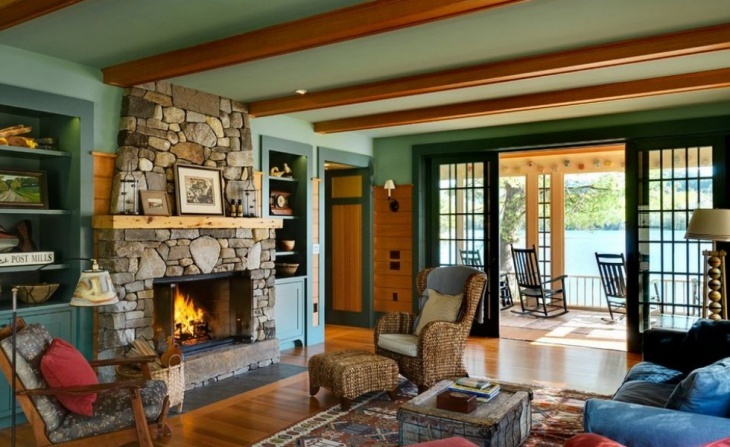 A classic summer house is one by the lake, just like this one. The living room is equipped with all essentials – fireplace (natural stone), shelves with cabinets/storage, freestanding lamp, comfortable couches, chair with foot stool, another wooden padded chair, and an oriental rug. The narrow porch offers the best views of the lake and its natural surroundings. 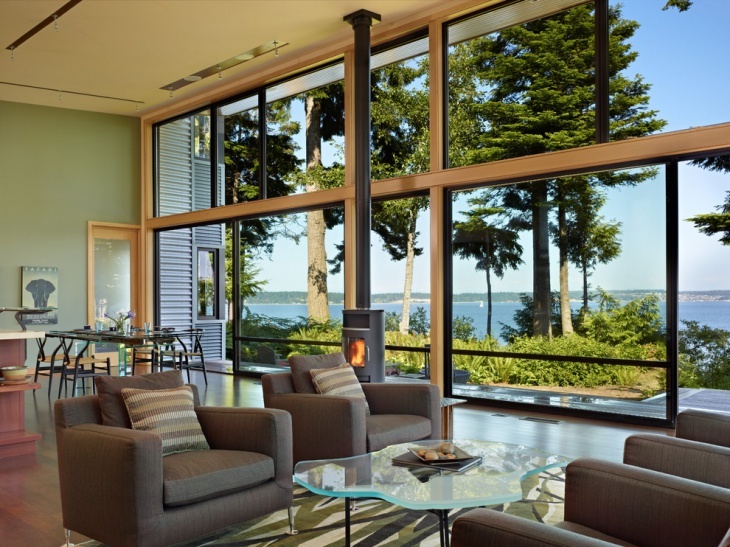 An all-glass living room for a summer home? Why not. The transparent glass design of this room is the perfect illustration of a fantastic view right at the comfort of your own living room. 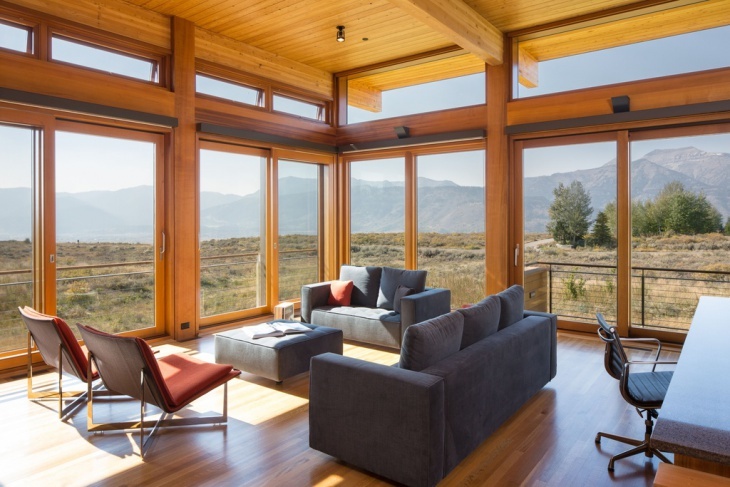 The glass provides natural light while allowing the occupants to capture the beauty of nature. There are mounted shades above the sliding doors that provide shading during the hot summer months. 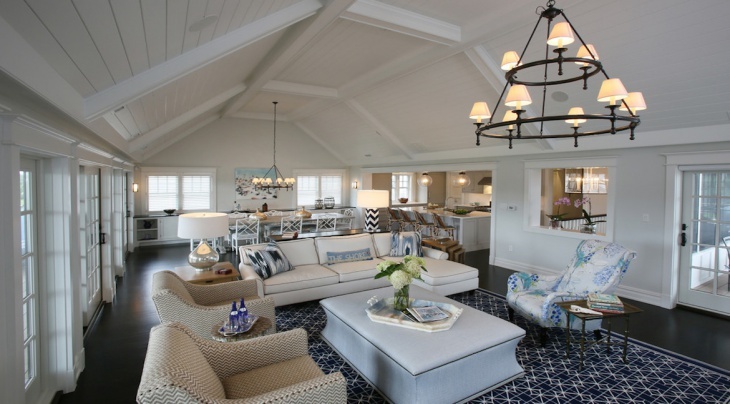 This summer house by the beach has a very apt color scheme – blue and white. 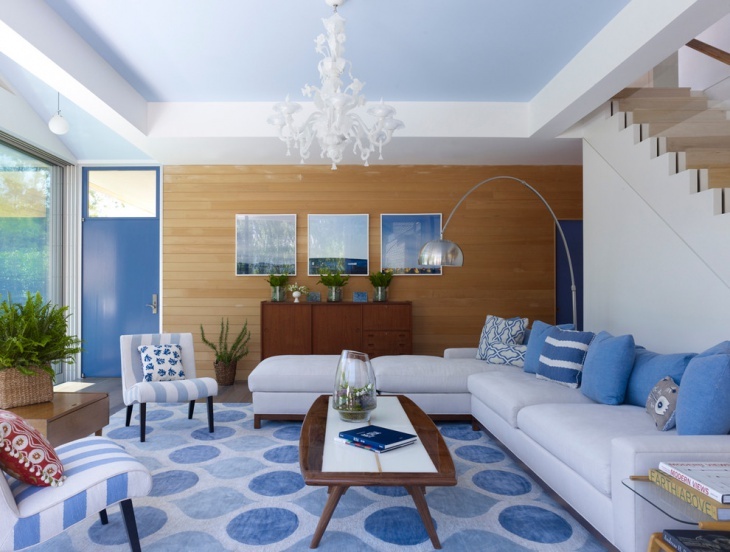 The different shades of blue (for the door, ceiling, chairs, pillows, and rug) used for this room are just perfect for the beach mood. The cabinet and the coffee table (with the top made of an old surfboard) provide the dark and nice contrast to the whole set up. 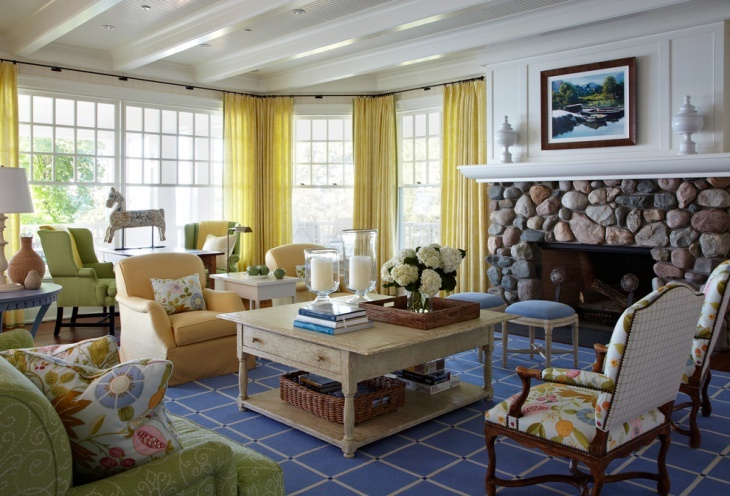 Yellow, blue and green in their light shades provide a simple, elegant and exciting combination for this living room. These are the colors that truly defines summer. Add flowers as accents and you definitely nailed it. The unpolished look of the coffee table is an ideal match to the rustic look of the natural stone used for the fireplace. This bay-front summer home has a simple and functional living room. The entry way is equipped with a table that holds a few accents – flower vase, candle, and mail tray. 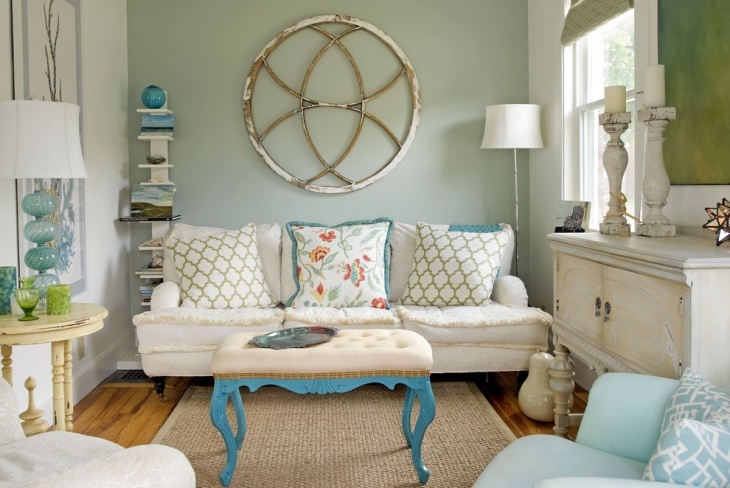 The couch that sits beside the table is in white, making a great match to the color of the entire room. That chandelier inside a glass bubble? Simply unique and perfect. The fireplace is ideally placed between two book shelves, while wooden chair and the pillows provide a dash of color here and there. 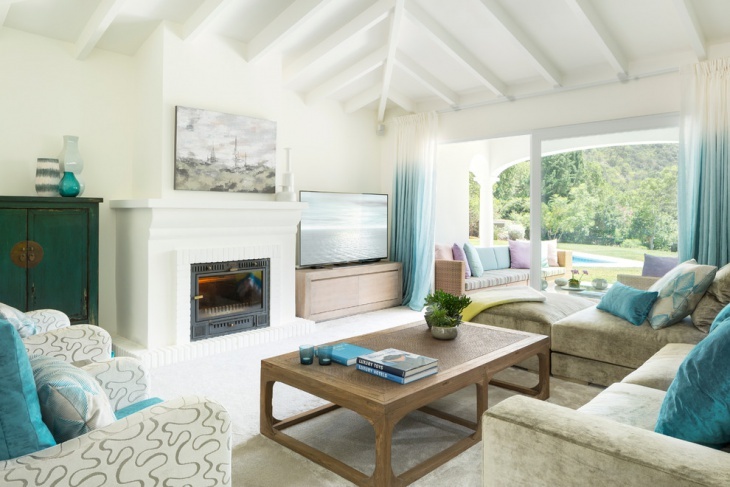 The modern design of this summer home living room allows for a very relaxing atmosphere. 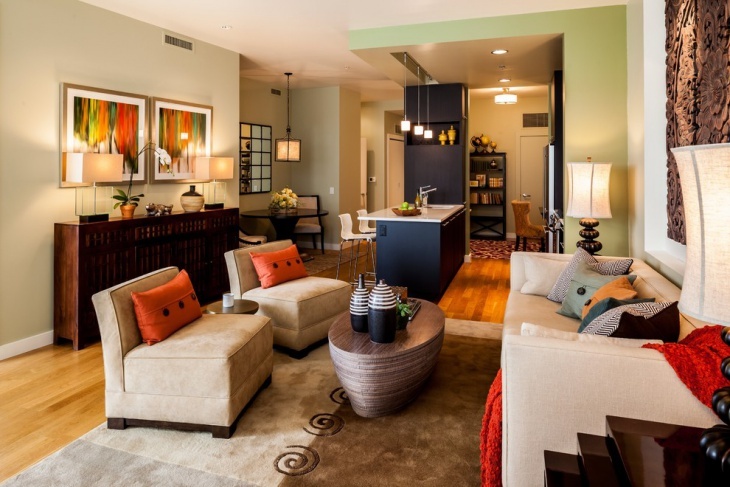 The splashes of colors, the artworks on the walls, the eclectic oval coffee table, the two-toned rug and the two sets of lamps are the features that provide that stylish and classy appeal to this living room. 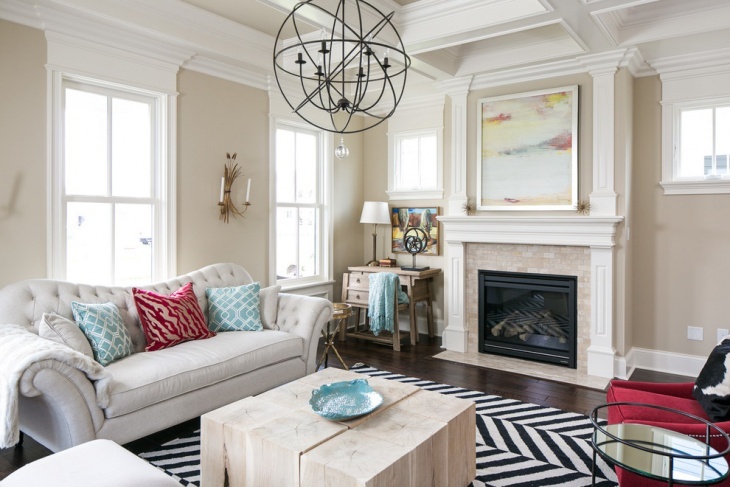 This living room has a white ceiling and white walls that are matched perfectly with the dark floor. 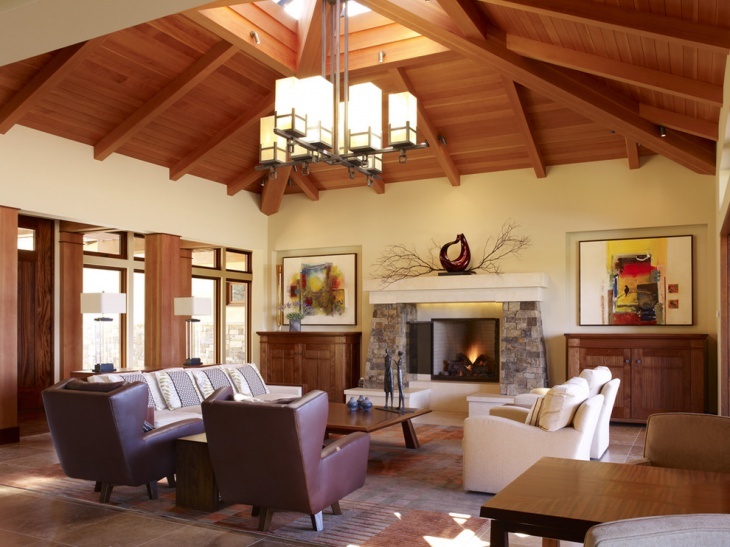 The box beam ceiling is quite rustic in appeal, while the rest of the room is more on the contemporary side. The combination of the geometrically designed rug and the unique hanging lamps provide a nice contrast to the simplicity of the room. This living room has comfort written all over it. The sofa set in light blue color looks really nice and relaxing, while the white silk rug also offers a comfy place for lounging. 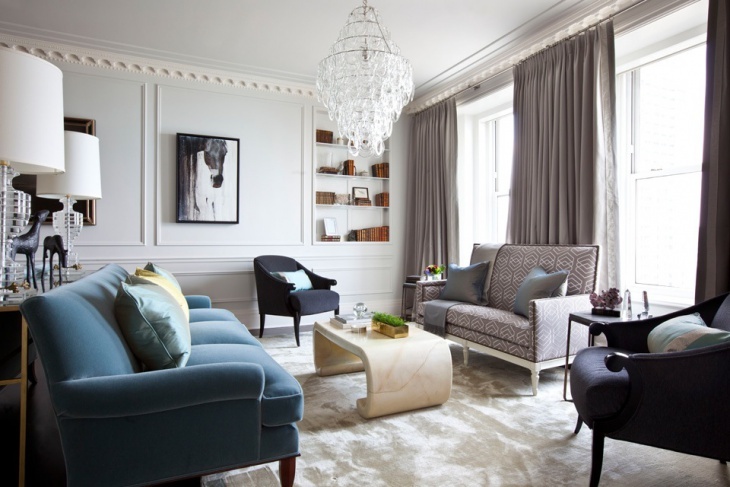 To match the silk rug, silk window treatment is used, making this not just a comfy room but also a silky one. 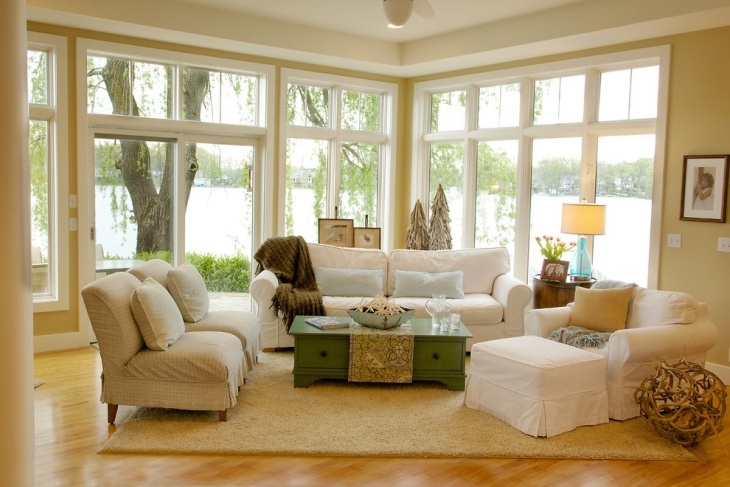 This is one sunny living room with a perfect lake view seen from the framed glass walls. What makes this living room unique is the unconventional way the sofa set and the chairs are positioned angled in one corner. 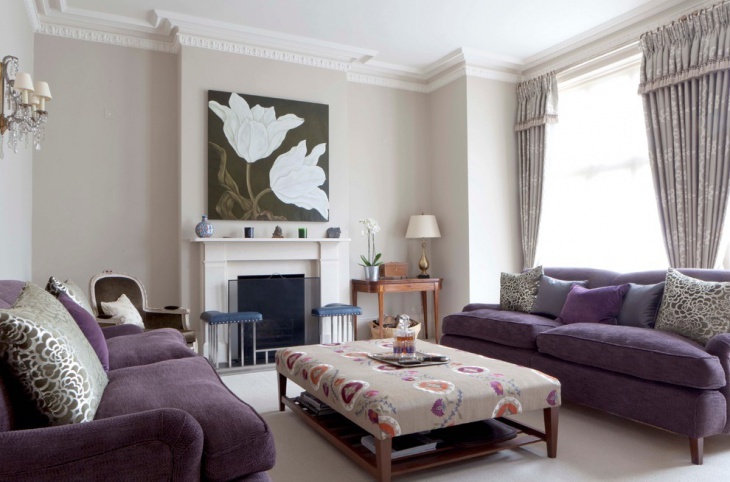 For this summer house living room, the design is definitely more on the contemporary side. 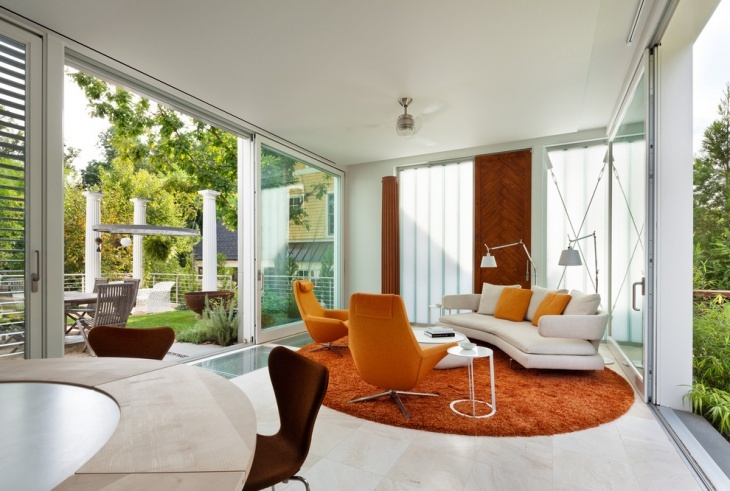 Starting with the orange swivel chairs, orange thick round rug, curved sofa, freestanding lamps. The two sliding doors, offer natural light and easy access to the outside world.